Does Amazon allow paid book reviews? What is the difference between a review and a testimonial? Should self-published authors pay for book reviews? Who are the top book review companies? Read on for the answers. There is arguably nothing more important to a book’s success than reviews. No reviews can be as bad as an average rating of 1 or 2 stars and just a single 4 or 5 star review can make all the difference in getting a shopper to pause and consider the book. How many Amazon “reviews” go this far? Not many. Each of these has their own terms and conditions and we’ve never heard of Amazon rejecting one of their reviews. Each of these has a program for self-publishers or small presses. ForeWord Reviews https://www.forewordreviews.com/services/book-reviews/ Clarion Reviews start at $335 and take 6-8 weeks. Kirkus Reviews https://www.kirkusreviews.com/author-services/ Begins at $425 and takes 7-9 weeks. Other services available. Writer's Digest Shop http://www.writersdigestshop.com/writing-critique-service?cid=3&gclid=CJ_12uLn3rgCFeU5Qgod-ScAsg More of a critique service than formal reviews. Thanks for the list. 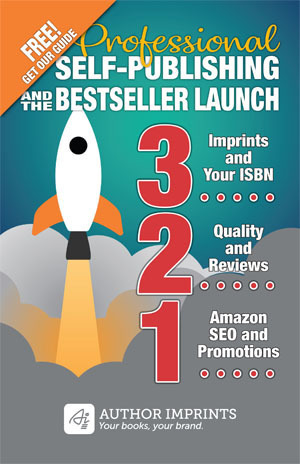 This is very useful for authors, especially new ones who are beginners with Amazon selling. I have written review, or more aptly, testimonials for books before. Another paid book reviews service that i would recommend is http://paidbookreviews.com. Prices are pretty fair there. We offer a paid review service starting at $59, solely for self-publishers. We’ve been around since 2008 and are partnered with BookBaby and do deals with BlueInk Review a few times a year. Would love to be on your list! Hi Cate, thanks. I’ll check out your service and may be in touch about a related reference. I agree with Adriel, AuthorsTrumpet.com is a very effective review site. We offer a new review service for both Indie and traditionally published authors. It’s reasonably priced at $39.95, and we return overwhelmingly positive reviews, giving even new authors a chance to have their hard work recognized. Check out our site for testimonials and review samples. Thanks! There are two different types of reviews to consider. The above list mixes trade reviews and consumer reviews. Kirkus and Foreword are considered trade publications that are distributed to book stores and book buyers. Other sites that many people are listing above and now there are many others in addition to those mentioned, are consumer reviews that post to Amazon, Barnes & Noble or Good Reads. Trade reviews are very valuable because they encourage retailers to carry your book, as long as it’s a returnable product. Amazon reviews are important as well because Amazon adjusts placement of the book on various pages based on the number of reviews, hits and ranking for the book. Both are important for different reasons. Thanks for clarifying that, Lissy.